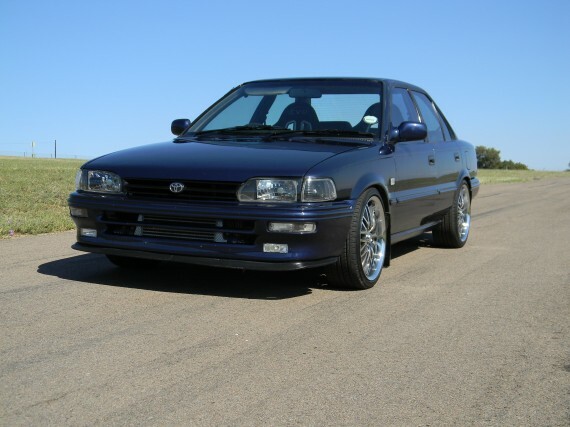 The Toyota AE9x / EE90 range is arguably one of Toyota’s most successful models, and I’m not just referring to South Africa…it’s a pretty popular car irrespective of where in the world you might find yourself. Heck, personally I have had 3 AE9x’s… a 4A-F, 4A-FE and a 7A-FE. 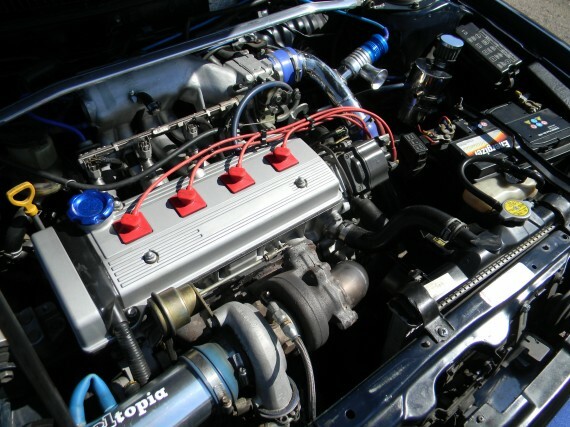 Through all the incarnations of the AE9x / EE90 range, the vehicles were powered by a variety of engines. Let’s concentrate on the 160i variant, which is the power plant of this month’s Feature Car. The 4A-FE actually started out as a carburetted 4A-F, the “E” at the end denoting fuel injection. The addition of electronic fuel injection saw the flywheel power increase from 77 to 79kW, and the torque from 135Nm 140Nm. It was your everyday run-around with excellent fuel consumption, and more than adequate power for a small sedan or hatch. 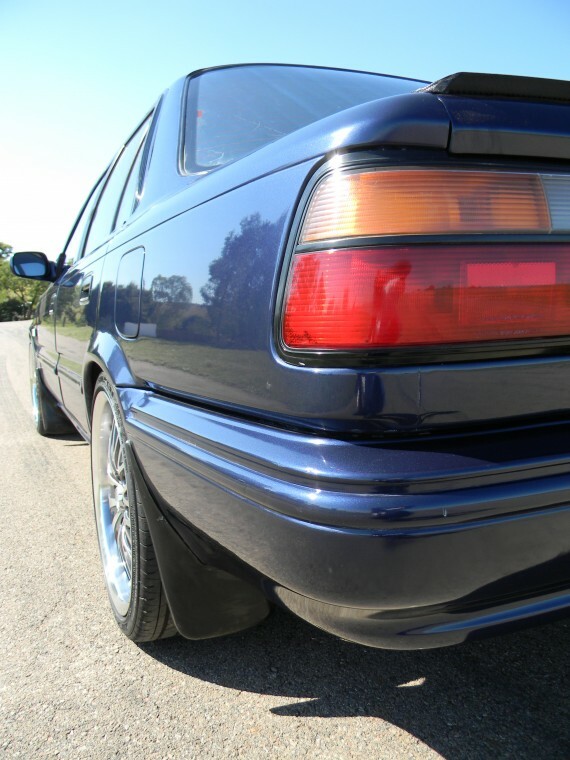 Shaun Perumal, the owner of this month’s Feature Car, purchased his 1996 160i as a 2-year old car in 1998, as his daily driver. For 4 years, it remained the faithful and reliable family car, absolutely standard. 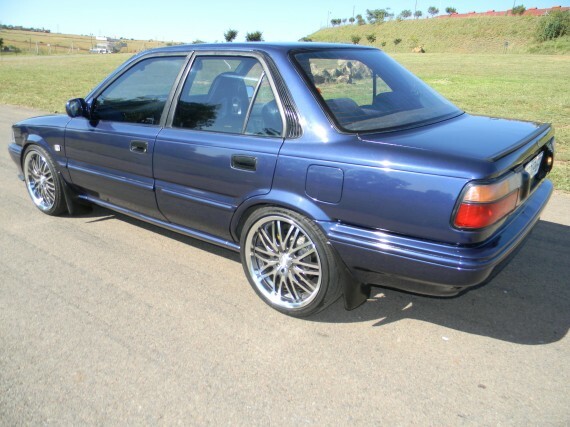 But in those years the Rolla remained stock, Shaun had been plotting and planning… As soon as the opportunity presented itself, Shaun had the car sent in to Toyota guru, Dave Repsold. In the Repsold Racing workshop, the 160i head was removed and stripped, and Dave skimmed, flowed and ported the head. He also re-shimmed the head, popped in slightly bigger valves together with race-spec valve seats and valve springs, all of which sit below the bigger 262deg cam, replacing the original 242deg. After uncle Dave finished off with the engine work, Shaun then had the car booked in at exhaust specialists TNT, who went about adding a 4-into-1 branch, together with a 3-box mandrel-bent free flow exhaust system to let the exhaust gasses exit as freely and quickly as possible. With the addition of the modifications, the power levels increased quite substantially to 70kW and 125Nm, and this was not on the flywheel, but on the wheels. Needless to say, the factory supplied 14” wheels and tyre dimensions were not doing any favours in the traction department. 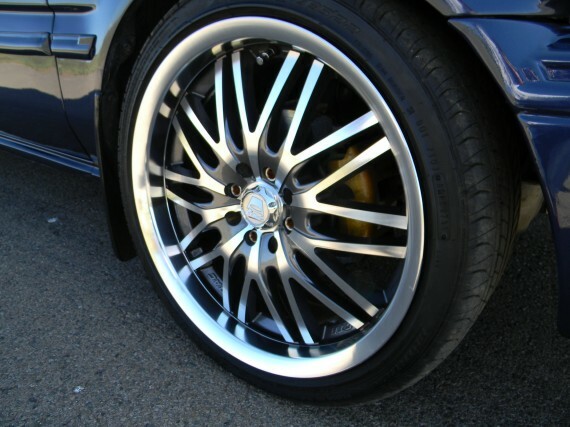 The iconic TSW Evo-R’s were called upon in the 15” variant, and matched with Pirelli P7000 195/50/15 tyres. The only annoyance – and I am sure most Toyota FWD owners will silently curse under their breath when I mention it – was the irritating gear change at higher rpm from 1st to 2nd gear. 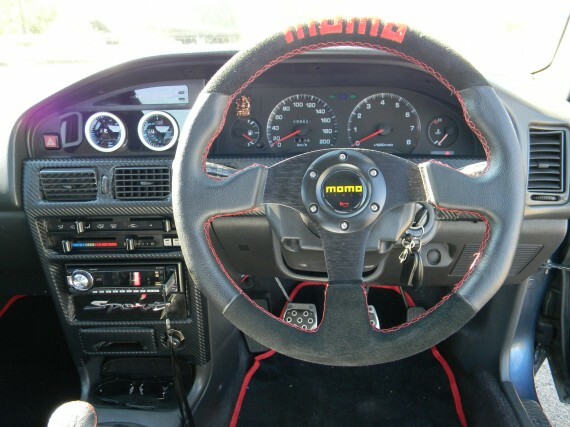 Shaun sorted that out with a Ewie’s shifter, which was sent in from Vredenburg in the Western Cape from well-known maker of Toyota short-shifters, Ewird Muller. Now that the gear changes were sharpened, there was not much else for Shaun to fiddle with on the car, and the car ran very reliably since ever since, without much cause for concern or repairs. But instead of going the “normal” route for turbo-charged Toyota’s which involves the tried-and-tested 4A-GZE to be swopped in, Shaun decided he wanted something different. The 160i engine had worked tirelessly over the years without issue, and Shaun decided not to look any further than the 4A-FE which was already under the bonnet as the starting block. 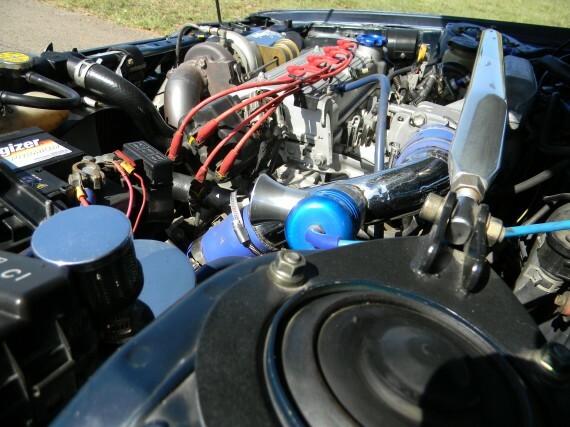 While both engines are DOHC, the major differences between an FE and GE/GZE basic engine layout is the camshaft configuration and valve placement. The FE uses a “slave cam” operation, where both camshafts are geared together and the timing belt runs off the exhaust camshaft’s sprocket only. This is very different to the GE/GZE where the timing belt turns both camshaft sprockets. In addition, the FE’s makes use of a narrower valve angle at 22.3 degrees apart, whereas the GE/GZE engines have the valves situated wider apart 50 degrees. Truth be told, there are numerous differences between the FE and GE/GZE, but those are the key points. In preparation for the boost that was due to come, a complete engine rebuild was required, and again Shaun turned to Repsold Racing for this. Dave sent him on a shopping trip to the Toyota Agents and all the parts for the rebuild were sourced. New OEM 4A-GZE pistons from the bullet-proof Twin Cam Supercharged engine were bought, and the standard 4A-FE connecting rods were modified by Repsold Racing to fit the new GZE pistons, and the con-rods also now catered for a “bolt and nut” design as opposed to the standard “threaded bolt” design, which helps keep the con-rod firmly fastened to the con-rod cap. The crankshaft was only part of the sub-assembly that was left untouched during the boosting excursion. The Repsold-tweaked head assembly from the aspirated setup remained unchanged in spec, although it also underwent a refresher course with Agent parts. 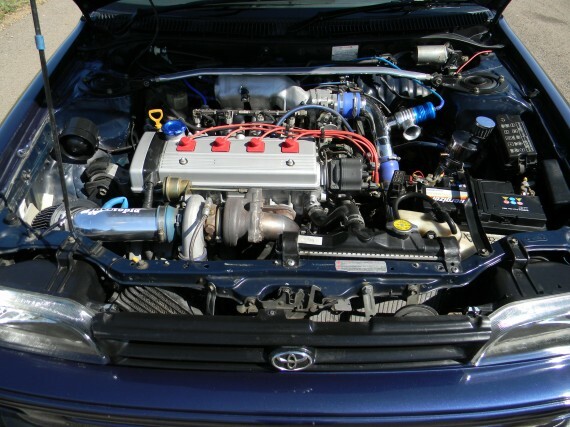 Though the head itself is a piece of work, the standard 176cc injectors would just not be able to cope with the thirst for juice in boosted form, and 365cc injectors from the supercharged 4A-GE were soon settling in to the OEM fuel rail. These were to be fed by a Warlbro 255lph fuel pump, via the stock fuel lines. 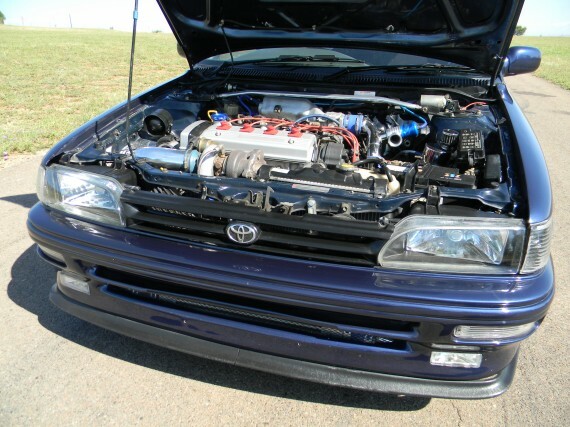 Assisting the motor to gulp in large amounts of forced air, a TRD intake was put in place of the original, and honestly, if you didn’t know what to look for, you’d be forgiven for thinking the intake was standard. Well in reality, it is standard, but in the AE101/AE111 frame – the early & late 20 valve shape. A set of genuine TRD plug leads keeps the spark in check, and I might add that genuine TRD plugs leads are rarely spotted treat in engine bays in South Africa. 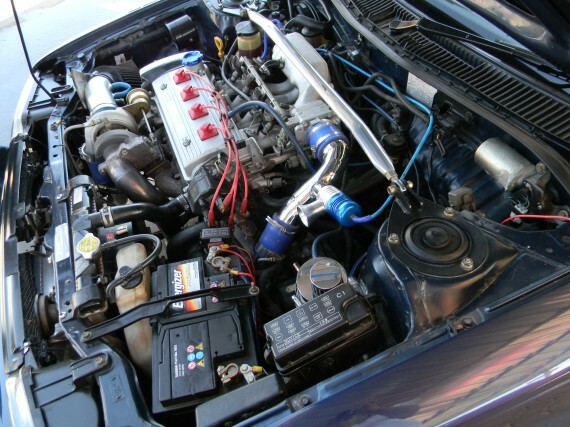 In looking to keep the water cool, a more efficient dual-core radiator was borrowed from a Honda V-Tec. A K&N Performance cone filter allows clean air into the Mitsubishi TD04 turbocharger. 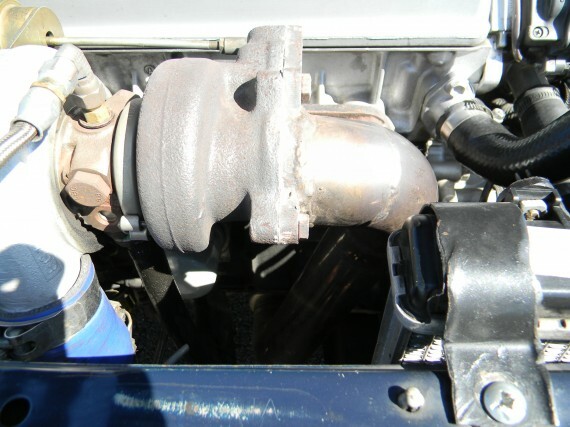 As it passes through the 57mm fabricated piping, the air from the turbo is cooled via a front mounted intercooler before arriving at the OEM throttle-body. Once the air goes through the combustion chamber, a Wildcat 63mm stainless steel down-pipe and single-box exhaust system aids in getting the gasses out in a hurry. 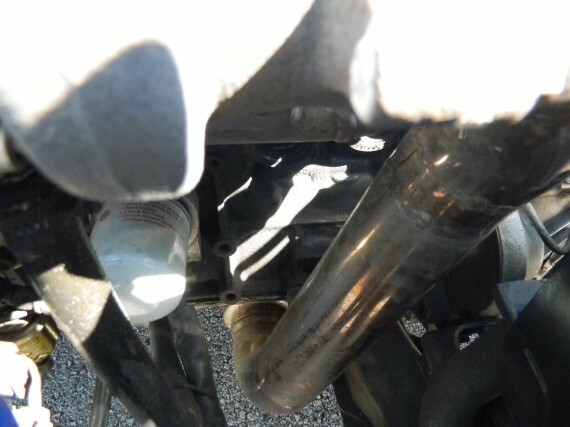 To eliminate backward airflow, an Xcell dump valve was inserted into the intake piping just before the throttle body. Holding together the oiling side of things is a custom-made polished oil catch can with braided stainless oil feed and return hoses. The transmission remains a factory-fitted affair, while a 4-puk copper clutch with an OEM 4A-FE pressure plate helps put the power to the wheels. Now you can’t very well double the horsepower without upgrading the stopping power. 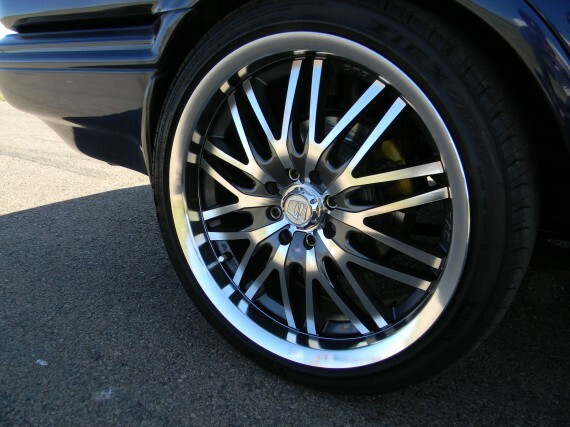 A solution to that came from a RunX…both front and rear complete disc brake setups were obtained from Mervin (a.k.a. Hybrid) a reputable Durban-based used parts supplier. Road holding is attended to by 17” wheels which go by the name of Demon, a design of the A-Line brand and they are shod with 205/40/17 Falken Ziex ZE522’s. Standard-issue shock absorbers combined with a 40mm N-Force lowering kit keeps the car grounded, while the front upper adjustable brace (which I believe I had something to do with…) keeps the front shocks stiffly held together. 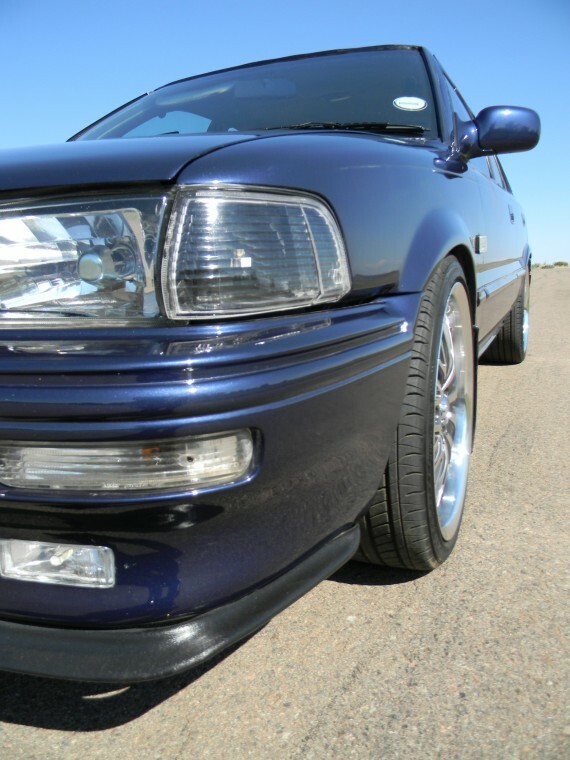 Though currently setup on a mild 0.4 bar boost via the Diktator Standard management system, Shaun’s not-quite-average family sedan chucks out a healthy 131kW with 229Nm at the front wheels. 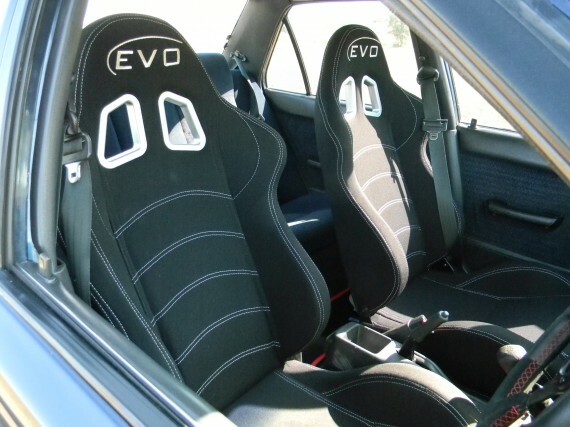 On his very first outing to Tarlton Raceway with the car in boosted form, he managed to post a respectable 400m time of 15.4 seconds @ 150km/h on the 17” street wheels an tyres…a time which he plans to now reduce to high 14-second passes aided by lighter 15” wheels and semi slick tyres. Moving to the outside of the Corolla, the mods were discreet so as not to give too much away to the power the lay beneath the bonnet, keeping a “sleeper” status. 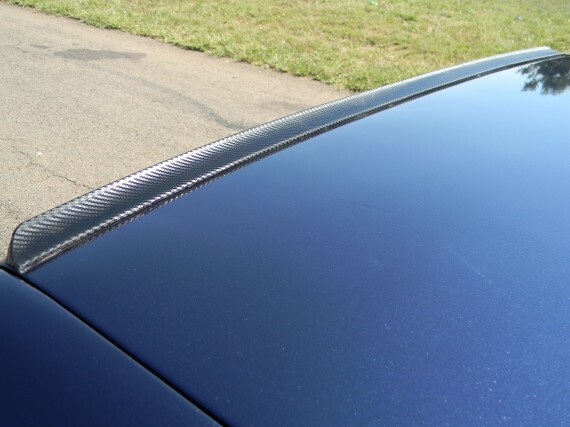 Here you won’t find any fancy touring wings or bumpers that are two sizes too big. 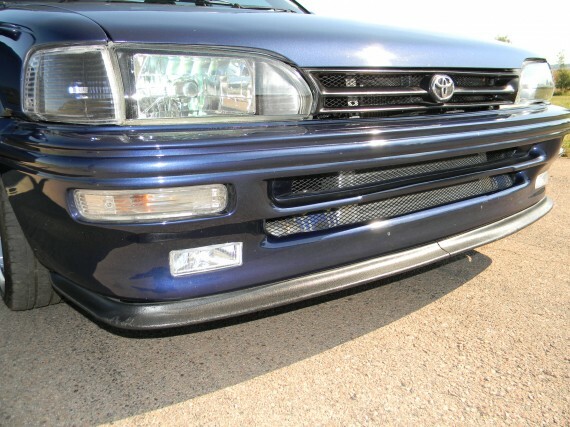 A Cressida front lip was added below the front bumper and a discreet strip-spoiler is now located atop the boot. All the original forward lighting – the headlamps, park lamps, bumper and fender indicators are of the crystal variety. 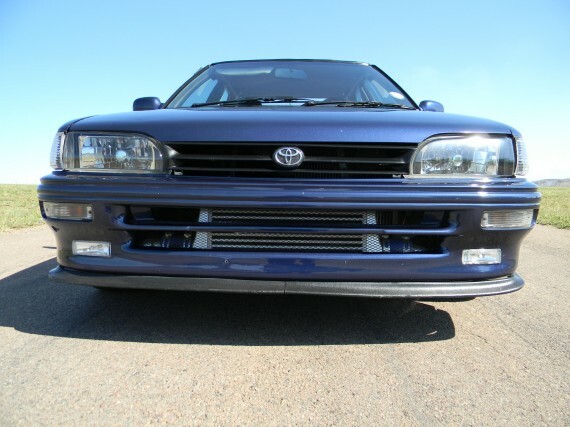 The headlamps bear an HID kit, and rectangular spot lamps were also mounted into the lower section of the front bumper for additional lighting. Jump into the driver’s seat, and you immediately feel in control. 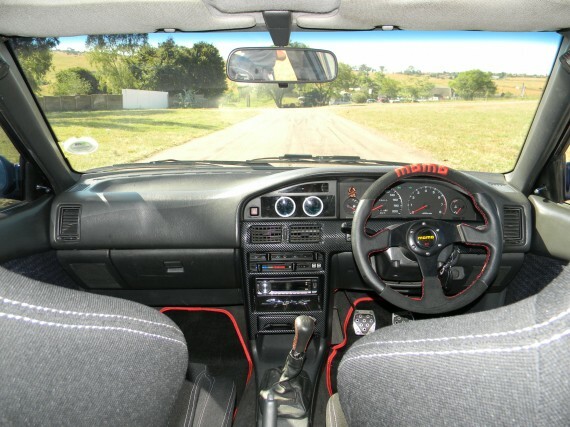 With the black Evo racing seats holding you in place, the driver’s view is captivated by the Momo leather and suede steering wheel, customised red and white OEM instrument cluster, carbon-wrapped centre panel as well as additional Autogauge smoked gauges which monitor the Oil and Boost pressure respectively. 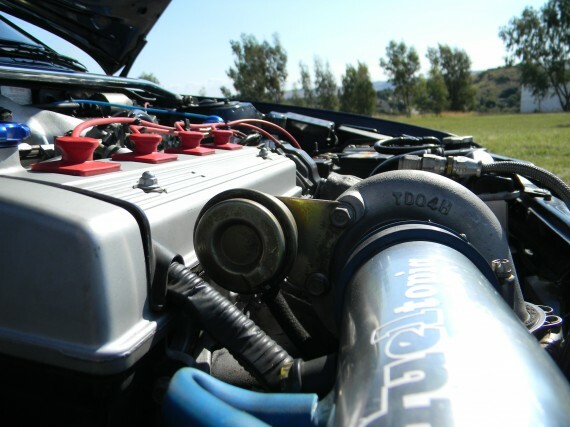 View Shaun’s 15.4 sec run at Tarlton- click here!